A new year is an optimistic time that offers the promise of fresh starts and renewed hopes and aspirations for the future. Just a month after New Year’s Day on the Gregorian calendar, the Chinese New Year has arrived, giving us another opportunity to celebrate a new beginning and to contemplate the possibilities and blessings that it might bring. 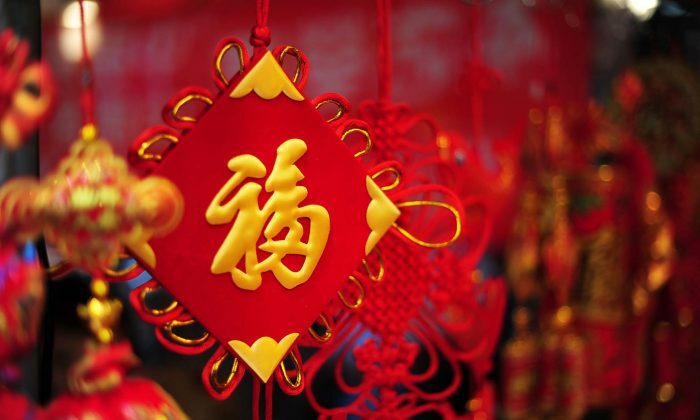 Chinese New Year 2019, the Year of the Pig, falls on Tuesday, Feb. 5, according to the Chinese lunar calendar. It’s an annual occasion that runs for some 15 days. We often think of health, happiness, and success when it comes to well wishes for others or yearnings we have for ourselves. Taking a closer look at the “five blessings” phrase gives us a chance to explore what blessings mean from the perspective of traditional Chinese culture and its reverence for the divine. In traditional Chinese belief, the five blessings are a long life; wealth, status, and prosperity; physical health and serenity of mind; devotion to virtue; and a life that ends naturally. The latter refers to living until one’s death according to predestined fate, after having fulfilled one’s life purpose following the will of heaven. This ancient definition is from the “Shujing,” or “Classic of History,” one of the Five Classics of Confucianism. Also called “Shangshu,” literally “Esteemed Book,” it is a compendium of documents believed to be possibly the oldest extant texts of Chinese history, covering a long period from legendary times to the time of Confucius (551–479 B.C.). Among the five blessings, the fourth one—virtue, or good moral character—stands out as the most important, as it’s only when a person is honest, kind, and forgiving that the other blessings will come. Blessings, in fact, represent good fortune bestowed by gods, as divine favor and affirmation of one’s upright, benevolent thoughts and actions. The five blessings are further clarified by the definition in “Shujing” of the “six misfortunes,” which also carries the meaning of penalty. The six are a life cut short, disease, worry and sorrow, poverty, ugliness, and lack of intelligence. Together, these statements reflect the foundational Chinese belief in divine justice and the law of cause and effect: Good will be rewarded and evil will be punished, whether in this life or in a lifetime to come. There is a heartwarming story about the word blessing that has to do with the great Emperor Kangxi of the Qing Dynasty, who ruled from 1661 to 1722. As the story goes, in the 12th year of his reign, Kangxi’s beloved grandmother, Empress Dowager Xiaozhuang, suddenly came down with a severe illness just before her 60th birthday. The doctors were helpless, and Kangxi was deeply distressed. 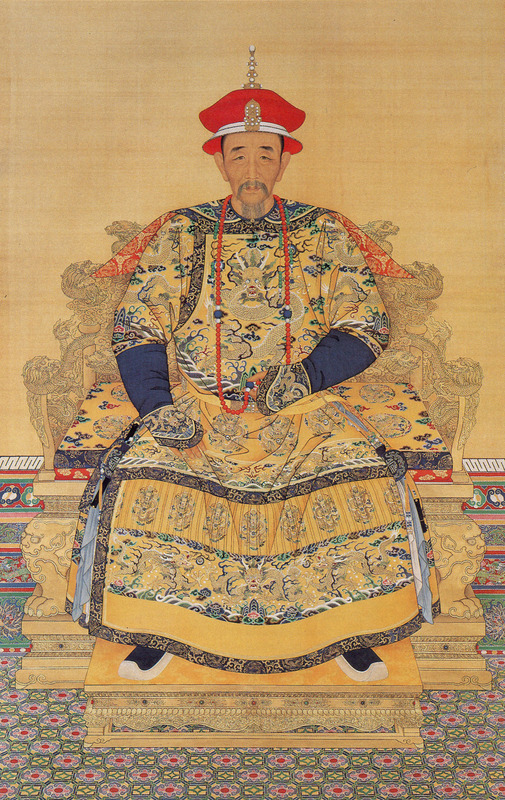 Then Kangxi learned from ancient texts that he, as the rightful emperor, the “Son of Heaven,” could pray to heaven to request blessings for the continuation of a long life. “If an emperor can pray for this for himself, why couldn’t I do so for grandmother,” he thought. So he went ahead with this idea. For three days, he observed the rituals of bathing and fasting with a respectful heart and a sincere faith in the divine. He then selected a golden brush inscribed with the words “Bless the Common People” and wrote a large “blessing” character on silk. He applied his imperial seal above the character before presenting his gift to his grandmother, who indeed recovered. This story also speaks to the themes contained in the definitions of the word “blessing” in early Chinese dictionaries. In a famous Song Dynasty dictionary called Guangyun, which dates back to 1008, blessing is defined as virtue and protection by the divine. The Kangxi Dictionary, named after Kangxi, who ordered its compilation, defines the word with meanings that include divine protection, benevolence (goodness), and auspiciousness. Thus, to enjoy heaven’s protection as a result of conduct that shows a high moral standard is what a blessing means. Chinese New Year 2016 falls on Feb. 8, marking the auspicious beginning of the Year of the Monkey.